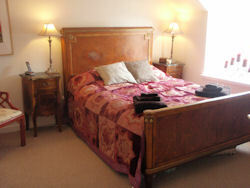 Welcome to the accommodation section on Planet Whiskies for accommodation near the famous Chivas Regal distillery of Strathisla. This distillery is the oldest working distillery in Scotland and has so much history and standing within the Scottish Whisky Industry. You can read more about this distillery on the Scottish Distillery page for Strathisla on this website. There is also a page on this site where you can look at the range of single malts that come out of this distillery - Go to Strathisla Distilleries Single Malts. 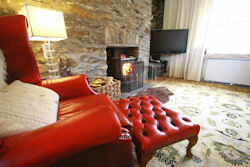 Below at present we only have one accommodation for this distillery and is a lovely cottage not far for this distillery. 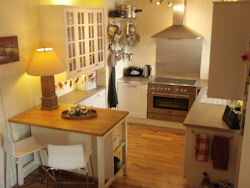 Milton Cottage in situated in Keith and is near the Strathisla and Glen Keith Distillery. Also from this base you are in easy reach of any of the other. 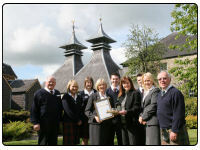 Speyside distilleries. 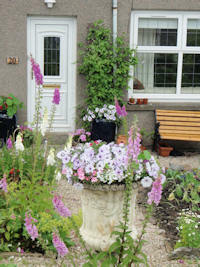 This cottage is a three-bedroom (two double, one single) end-terrace house in a quiet area of Fife-Keith with a quaint cottage garden (with free-range hens) and a large area of decking at the rear. The house has recently been renovated and has character features, exposed granite walls, a wood-burning stove, a well-equipped kitchen with a 90-cm oven and 5-burner hob, a modern bathroom with shower and underfloor heating, and comfortable king-size beds. It's a 4-minute walk to the railway station and 2 minutes to the bus stop. 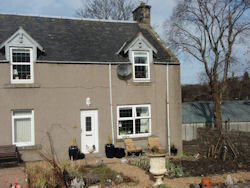 Situated in a quaint area of Fife- Keith, Milton Cottage is about 5 minutes walk from the Inverness to Aberdeen Railway Station and 3 minutes walk from A96 and No 10 Bus (Aberdeen to Inverness) 50 miles to either Aberdeen or Inverness Airport and is in a perfect location for the discerning Whisky Lover....next door to Glen Keith Distillery and 2 minutes walk to Chivas Regal Distillery. Local shops 3 minutes walk and Mid street shops/Tesco about 10 minutes walk. There is off road parking at the rear of the house and a large shed to store any bikes visitors may care to take with them and also a quiet seating area to relax. The garden has been planted with various vegetables and herbs which visitors are welcome to enjoy along with the fresh eggs from our hens and quail. A Scottish Themed Welcome Pack will welcome visitors before they sink into the white cotton sheets duvets and soft towels.